Leaving Jackson was the first time on the trip that I was sad to be putting a destination behind (leaving friends and family not included). 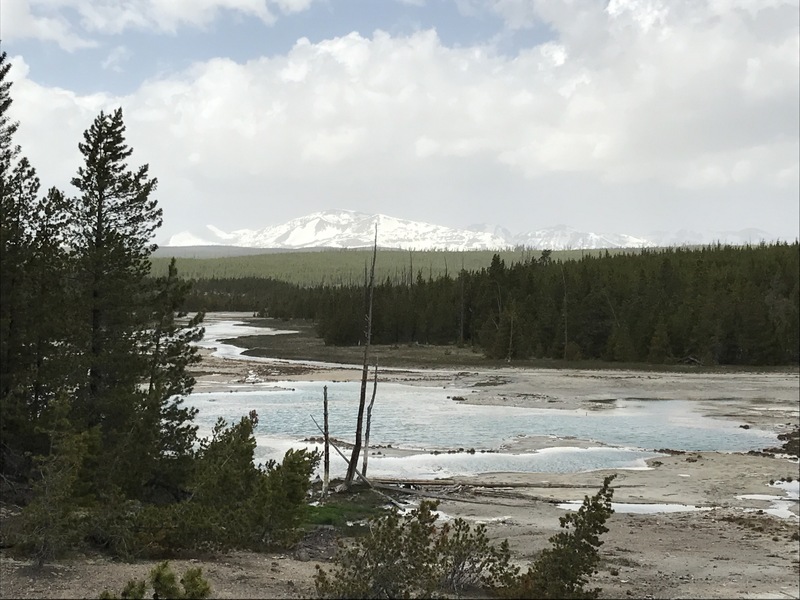 We had such a good time there, but with Yellowstone as the next stop we were riding high and looking forward to visiting our country’s first national park. Let’s start with OH MY GOD Yellowstone is freaking huge. We stayed at the campground called Bridge’s Bay and to get around the park from there took around 1.5 hrs of travel time. If Yellowstone was a state, it would be bigger than Delaware. Seriously. 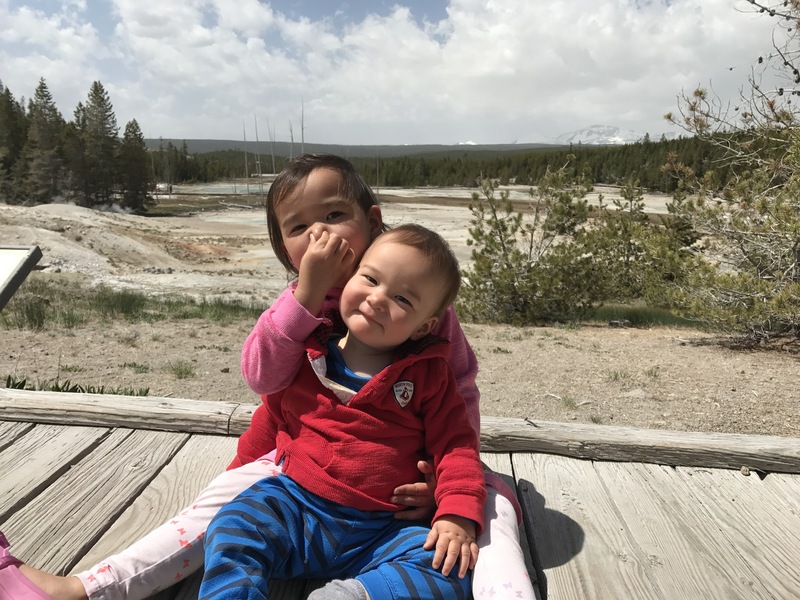 Due to the size, I can’t say that Yellowstone was an amazing destination for a family that has kids less than 5 years old. 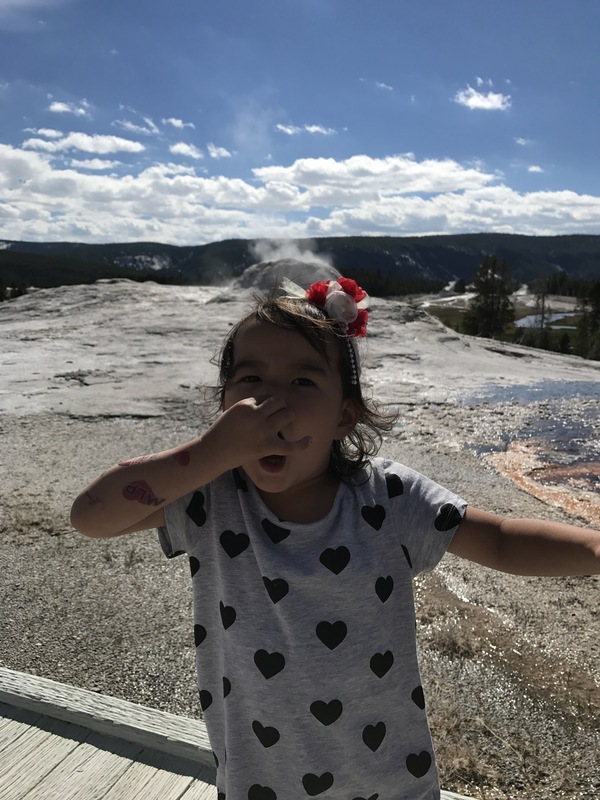 The sites are incredible and well worth the visit, but the driving between each locale is challenging when you have to throw little ones in car seats or wake up a 10 month old unnecessarily to go see another geyser. With that said, the kids seemed to have fun. As for the geysers, they are wild. Who knew that Yellowstone had 50% of the worlds geysers!? We saw and smelled our fair share of these sulphury pools. After being scared straight by the Old Faithful souvenir store staff, we loaded up on bear spray and prepared for a 2.5 mile hike in the backcountry. The trail we picked out was Mystic Falls. Psyched to leave all the geyser grannies behind, we made our way to the trailhead, but were greeted with a scary sign that I interpreted as “dumb city-it, the bears just woke up and are hungry. That pepper spray you just got suckered into buying is seasoning for their meal. 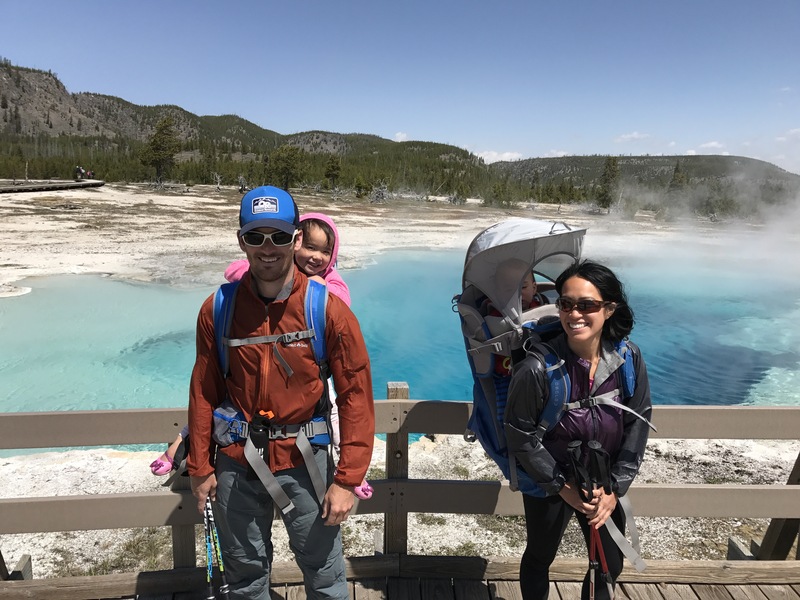 Feed them your children at your own risk.” Needless to say, we turned back to the geysers with our hiking poles tucked between our legs. 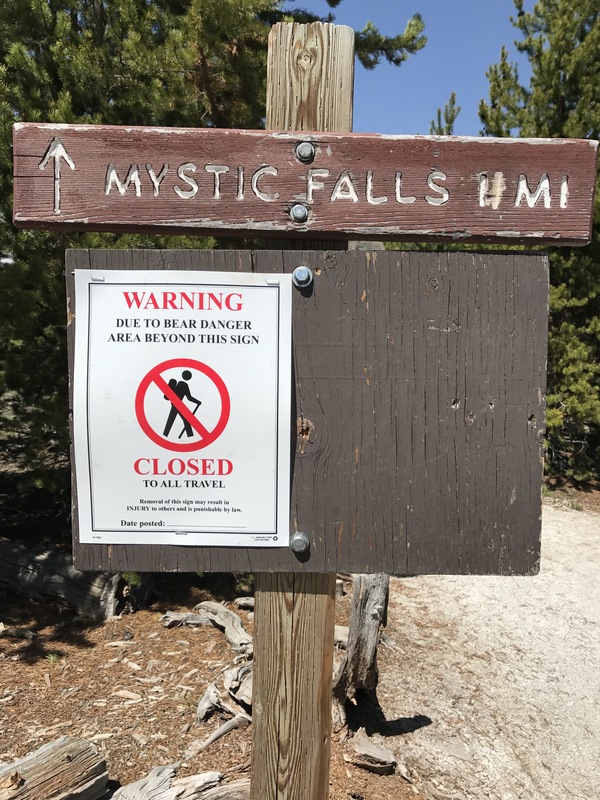 Should you come to Yellowstone during May and want to go for a hike, you might be a tad disappointed like we were – every exciting backcountry trail was closed for Yogi. I hope he enjoys the human free hiking. I’d like to follow your adventure. Back in 1965, after one year of teaching in NYC, my college friend and I took a three month trip across the USA. We “hit” 32 states and Mexico. Welcome Diana! Wow, 32 states and Mexico in 3 months!? That’s incredible – you are a road warrior for sure!